Prominent & Leading Manufacturer from Mumbai, we offer stainless steel sheet. 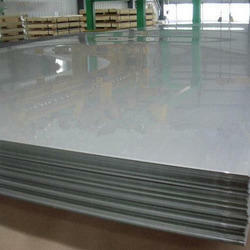 We are prominent stockists, exporter and supplier of precisely designed Stainless Steel Sheet. The offered sheet is manufactured at the advanced manufacturing unit by utilizing quality assured raw material, which we procured from the trustworthy vendors of the market. This sheet is severely tested on various quality parameters to ensure high durability at the user's end. Besides, we offer this sheet to our clients at market leading prices.